“Central Florida has become the testing ground for a cellphone as toll transponder app by a San Francisco startup with nationwide ambitions. 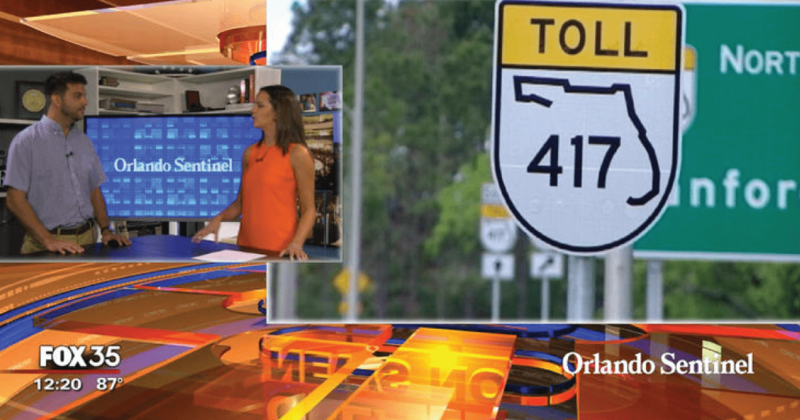 The PayTollo® phone app would notify drivers when they are approaching a toll and give them the option to pay through their phone after their ride is over — a convenience for casual toll customers and tourists with no E-Pass or SunPass accounts. To see the complete article and video click through to the Orlando Sentinel here.